I am trying to get a DS18B20 working on an OrangePi zero running Armbian. 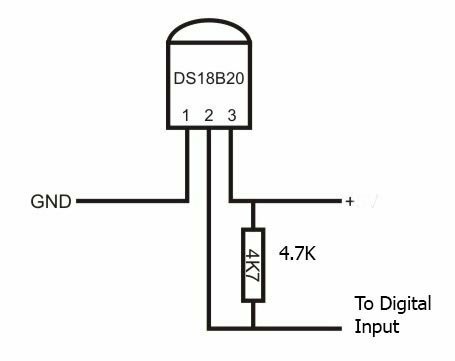 The DS18B20 has a pull-up resistor and works on a Raspberry Pi, and is connected to PA10, +5V and Gnd. [    8.995601] Driver for 1-wire Dallas network protocol. Note the absence of anything like "[8.xxxxx] W1_SUNXI: Added w1-gpio on GPIO-10", and when I look in /sys/bus/w1/devices, there is nothing there. I ran armbianmonitor -u, and the output is at http://ix.io/1lNv. You should not load w1-* using modules.conf, but using /boot/dtb/overlay/sun8i-h3-w1-gpio.dtb overlay file, it will load modules automatically. Thanks for the suggestion, Martin. I tried enabling w1-gpio in /boot/armbianEnv.txt. I still get the message saying that the driver for the 1-wire Dallas network protocol is loaded, but I still don't get "[8.xxxxx] W1_SUNXI: Added w1-gpio on GPIO-10"﻿, and when I look in /sys/bus/w1/devices, there is nothing there.﻿﻿ I have an external pullup, so I first tried with param_w1_pin_int_pullup﻿=0, and also tried with the pullup enabled. I used this guide to set it up: is there anything more up to date? Unfortunately, I don't see what is the problem, OneWire is so simple. Are you really using a Mainline kernel ? When you used overlay like I suggested, did you removed the ones in /etc/modules ? Maybe you have defective device ? 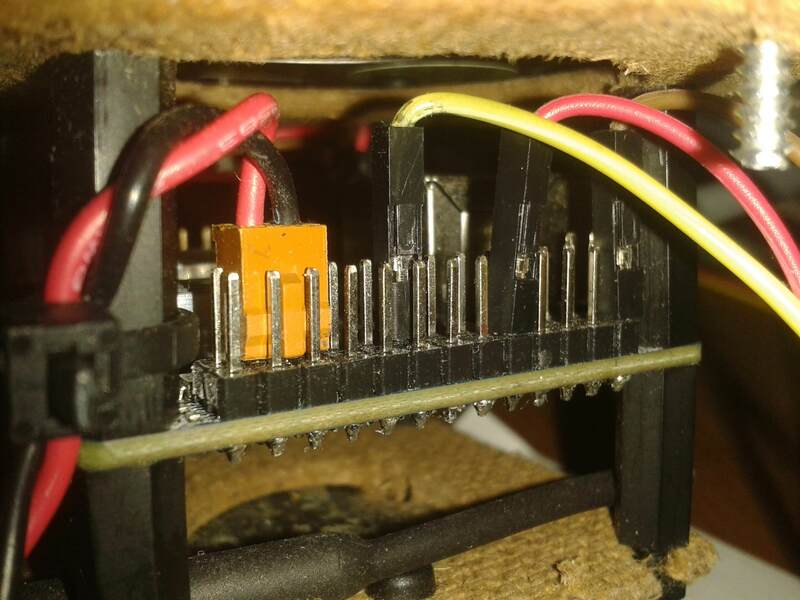 BTW, the message that should be seen is not "W1_SUNXI: Added w1-gpio on GPIO-10"﻿, but something like "w1_master_driver w1_bus_master1: Attaching one wire slave 28.000005a2fac5 crc ea"
connected to PA10, +5V and Gnd. sounds fishy.. I assume it won't harm it.. but having a bad experience with VCC 5V against something which is only 3.3V tolerant..
most likely it's PA10 != default pin for the w1 overlay﻿. well, we might have it open at the same time..
we might need an overlay/w1 tutorial too.. Since https://git.kernel.org/pub/scm/linux/kernel/git/torvalds/linux.git/commit/?id=1b3bd8592780c87c5eddabbe98666b086bbaee36 I actually might have an use-case for overlays.. I like mox sensors.. I am using "5.60 stable Debian GNU/Linux 9 (stretch) 4.14.70-sunxi". Yes, I removed the w1-items from /etc/modules. The DS18B20 works fine on a Raspberry Pi. Pin PA10 on the OrangePi works fine when I connect a DHT-11 sensor. I tried on PA13 too, same problem. I tried connecting to +3.3V instead of +5V, same problem. [   64.132874] w1_master_driver w1_bus_master1: Family 0 for 00.800000000000.8c is not registered. [  127.759739] w1_master_driver w1_bus_master1: Family 0 for 00.400000000000.46 is not registered. [  178.514977] w1_master_driver w1_bus_master1: Family 0 for 00.c00000000000.ca is not registered. [  254.936140] w1_master_driver w1_bus_master1: Family 0 for 00.200000000000.23 is not registered. [  318.507330] w1_master_driver w1_bus_master1: Family 0 for 00.a00000000000.af is not registered. [  356.427372] w1_master_driver w1_bus_master1: Family 0 for 00.600000000000.65 is not registered. [  396.938592] w1_master_driver w1_bus_master1: Family 0 for 00.e00000000000.e9 is not registered. [  459.920797] w1_master_driver w1_bus_master1: Family 0 for 00.100000000000.9d is not registered. I have an OPzero+ with armbian ubuntu 4.14.78-sunxi64 I connected a ds18b20+4.7k respectively to pins 25 (gnd) to pin 17 (3.3V) and to pin 12 (PA7). I activated in armbian-config w1-gpio. Is there any trick to fix the bug? Do you have a 3K3 pullup on W1 data line ? yes martinayotte, i have a 4.7KΩ resistor between the data pin and the vcc pin of the ds18b20 and 40 cm of three-pole cable with 1 mm Ø wires. I've read most of your previous posts on the problem. Perhaps it is related to cpufreq ? I tried in cpufrequtil to put GOVERNOR=interactive but it does not work. I think it's a different gpio table and connector pins; do you know where to find an updated table? I tried also pin12=PD11, but I couldn't do it. It's a pity it doesn't work. It's a pity it doesn't work. the pizero+ with cpu H5 and armbian works very well as a small server for home, I wanted to detect the temperature inside the 'cabinet without other devices, but I will have to connect a TTL-USB converter and use digitemp . exactly this http://www.orangepi.org/OrangePiZeroPlus/ I read that with old kernels there were no problems, in your opinion could it be that the new kernel has something that prevents it from working? in your opinion could it be that the new kernel has something that prevents it from working? I don't know, I don't have the PlusPlain, only Plus2-H3 and Plus2-H5, both are working fine with latest Dev Mainline 4.19.x. the pin seems to intercept it and the ds18b20 is working if I connect it to another device, it is not defective. it is a real mystery. PS: I tried with the usual test of the resistor and the led and the small script in python; the test goes well and the led lights up! [ 6.252692] Driver for 1-wire Dallas network protocol. with version Nightly 4.18.8 immediately recognized the sensor. now what do you advise me to do (keep the kernel nightly or wait for a stable version) before loading all the packages that I need? "stable" is always a relative vague definition ... If the nightly is stable for you use-cases, keep it as a backup for awhile, and in few months, maybe with some 4.20.y, things may be even more stable and you will decide to switch. Ok martinayotte, I'll do as you say. I ask you: could you look for the differences between the two versions (nightly and mainline) in the 1wire software or is it an impossible procedure? Between 4.18.8 and 4.19.9 ? I don't think there is any diffs. Between the previous 4.14.78 and mainline ? probably there is something since it didn't work for you, but it is not obvious to find. probably there is something since it didn't work for you, but it is not obvious to find. What kind of sensor have you connected (to92 or waterproof type) and above all is connected as in my diagram above and in the photo? Have you tried to connect the sensor on another device?